Banks have encouraged the use of card payments among the shoppers. By issuing credit/debit cards to the shoppers, they have created an easiest mode to shop even if they do not carry any money in their wallets. 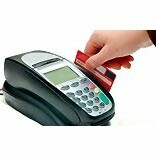 Also to avoid pilferage, shoppers prefer card payments. From retailers’ point of view, this is adding to good volume of sales in various categories available in their stores. “Since shoppers are using it for convenience, retailers are left with no choice but to accept the new mode of payment,” avers Snehal Shah, Vice President (operations), V-mart. Location of the region is a big factor in deciding on the volume of sales paid through cash or credit cards. Since the penetration of banks in tier II & III cities is low. Tier I & II have higher percent of customers paying through credit card. As you go deeper into tier III & IV, it reduces substantially. Tier III & IV prefer cash payment. Also, the reach of banks issuing credit card & providing credit card receipt services are low at tier III & IV level. Cash-in-hand is always a better option where the mode of payment is concerned. But it also has its own areas of weakness. Collection of cash above a limit is adding a risk factor at the store level. A substantial amount of credit card charges are levied on receivables. The other main costs include telephone cost which is needed to run the machines. Telephone call is registered every time you swipe the card. Hence, this is the main receiving cost. There are some secondary/minor costs such as Data Management, Receivables, Frauds and Mistake of the cashier. a) Denial of customer of card swipe when they receive their statements. In such cases, Credit Card service provider gives limited time to submit the charge slip. Failure of submission would deny the payment in the account of the retailer. b) There are a lot of chances of frauds done by customers like using stolen card etc. c) Mistakes on the part of the staff members in accepting payment also add to the cost of operation. So, as urbanisation would gain momentum in the coming times, shoppers would avoid carrying cash giving preference to card payments. This method would not block the shoppers from buying thereby boosting the sales volume of the retailers which is the prime motive of every store. Thus, retailers have to cautiously make use of the credit payment mode and bring more payment sales from all routes and increase profitability at scale.